It might be telling that CES has ditched the moniker "Consumer Electronics Show:" the Las Vegas tech extravaganza is no longer just about consumers. Innovative products for businesses have been among the highlights of CES 2018 - including numerous offerings focused on the needs of small and midsize businesses in particular. Top products for SMBs that we've seen at CES this week have included offerings in storage, security, networking, PCs and printers. Aimed at meeting the data management needs of SMBs, Seagate's IronWolf Pro is a hard disk drive with up to 12 TB of capacity that's optimized for NAS product applications. Target applications include up to 16-bay NAS, as well as desktop RAID. 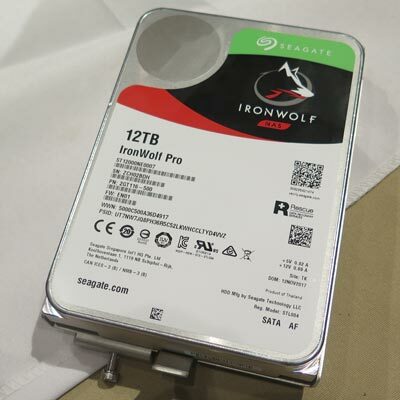 Seagate showed off the IronWolf Pro during CES 2018, touting its compatibility with ioSafe's waterproof and fireproof NAS as an additional protection for critical business data. 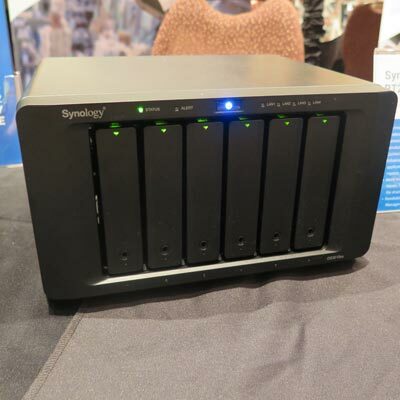 Synology used CES 2018 to showcase its first six-bay tower NAS, the DS3018xs, which launched in September. The product is ideal for businesses in need of high performance, with features including a PCIe slot, so that SSD cache can be utilised without taking up drive bays. The DS3018xs is powered by a dual-core Intel Pentium D1508, and includes up to 32 GB of RAM, four Gigabit LAN ports and an optional 10GbE network interface card. The DS3018xs offers SMBs the ability to start with six drives and expand to as many as 30 drives as needs grow, the company said during CES. Averon is a startup that's developing a new standard for secure mobile identity verification, which uses mobile network signaling and the SIM/eSIM chips inside smartphones. 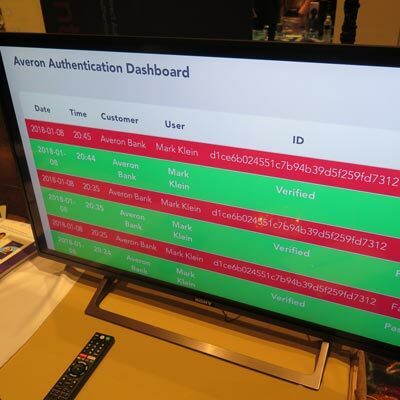 During CES 2018, Averon demonstrated its fully automatic mobile identity solution, DAA (Direct Autonomous Authentication). The offering, according to Averon, ultimately provides user authentication across all digital locations (including IoT, e-commerce and blockchain) that is both ultra-secure and effortless. Averon plans to provide its offering to SMBs through channel partners, the company said during CES. 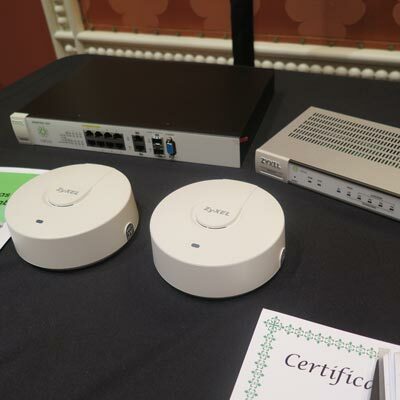 At CES 2018, Zyxel enhanced its cloud network infrastructure offering to make it even more ideal for SMBs, according to the company. Zyxel's Nebula Cloud Network Management Solution enables cloud management of access points, switches and security gateways from a central dashboard. Along with simplifying setup and usage of network infrastructure, the cloud service is now also free for life to buyers of Nebula access points, the company said. The Zyxel Simple Free Cloud is scheduled to debut in February. 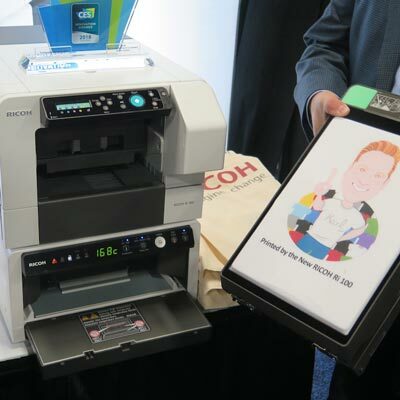 Ideal for small businesses, the Ricoh Ri 100 is a direct-to-garment (DTG) printer that lets users quickly and easily print images onto fabrics such as shirts and bags. The printer, which originated in Ricoh's AnaJet division, takes DTG technology used in industrial settings and makes it safe enough for small-business use, according to Ricoh. The Ricoh Ri 100 is currently in preorder and will launch in February for US$4200. 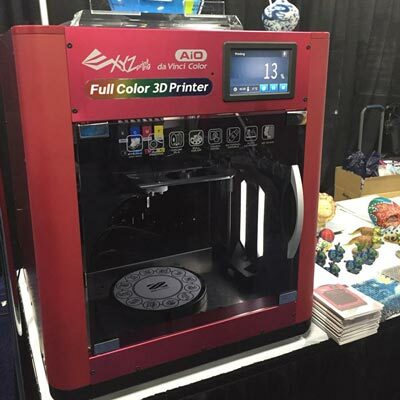 3-D printer manufacturer XYZ Printing showed off its full-color 3D printer/scanner at CES. Available by the middle of this year, this US$3800 printer uses inkjet technology to inject color into filament as it is printed. The printer comes with PLA filament and ink cartridges, and features 100-micron layer resolution along with print sizes of 7.9 x 7.9 x 5.9 inches. XYZ Printing is pitching the Da Vinci Colour as a solution for small businesses that up until this point haven't had access to high-quality 3D printing technology. 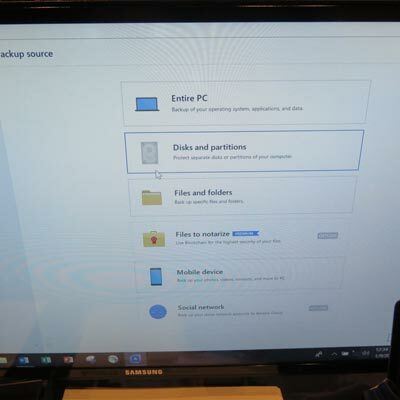 Data protection and storage specialist Acronis used CES 2018 to promote its True Image 2018 backup software for both homes and small businesses. True Image leverages the same technology as Acronis Backup 12.5, including detection and elimination of ransomware attacks in addition to disaster recovery. The premium version of True Image 2018 provides coverage for up to five PCs, and comes with features in line with the needs of SMB customers, such as blockchain authentication and electronic signature functionality. 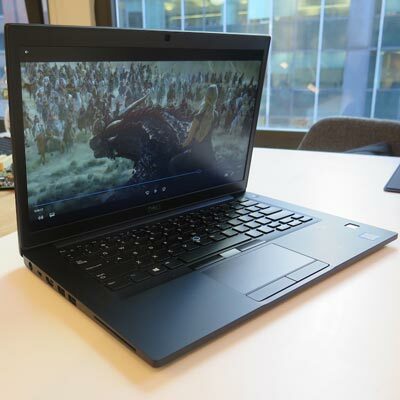 Dell used CES 2018 to launch a new lineup of Latitude 7000 Series business laptops, including the Latitude 7490 (pictured). This 14-inch laptop features a "super low-power display" for enabling longer battery life - up to 20 hours on a charge - along with processor options including a quad-core eighth-gen Intel Core i7. Other new 7000 Series models are the 12.5-inch Latitude 7290 and the 13.3-inch Latitude 7390, both of which weigh about 2.6 pounds and also offer quad-core eighth-gen Intel processors. Notably, all of the new 7000 Series Latitudes come with Microsoft's Precision Touchpad, which should improve touchpad responsiveness over previous Latitude models. In addition, both the Latitude 7490 and 7390 models feature an FHD touch display option, with brightness of 300 nits. The Dell Latitude 7490 and Latitude 7290 have a starting price of US$1049, while the Latitude 7390 starts at US$1149. The new Dell Latitude 7000 Series laptops are available now. 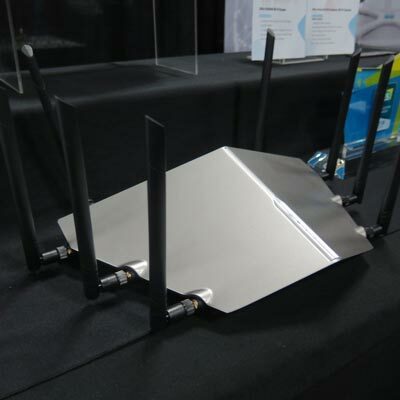 The arrival of the 802.11ax wireless standard means the potential for much faster speeds - and new wi-fi routers, such as the D-Link AX11000, are standing ready to deliver those speeds to heavy-duty business users. The tri-band 802.11ax router can deliver up to 11,000 Mbps, according to D-Link, making the AX11000 an ideal option for businesses. The D-Link AX11000 is expected to be available in the second half of 2018. 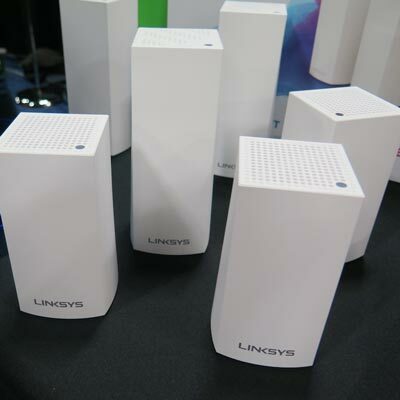 At CES Unveiled, Linksys showed off its forthcoming Velop AC1300 offering, which enables users to build a mesh network. The dual-band Velop AC1300 combines a router, bridge and access point into one compact package. And presumably, Linksys will be selling the AC1300 at a lower price point than the company's tri-band Velop model. While home environments are the focus for the Velop AC1300, the product makes plenty of sense for small businesses that are looking to cut down on wi-fi dead spots around the office, as well. The Linksys Velop AC1300 will be released in April.